You have heard me rave about Marlow's Tavern before. It is the Winter Park eatery (that has a sister restaurant on International Drive) that not only has great specialty drinks and beer, but also a food menu that goes above and beyond typical bar food. Take its special Bayou 'n Bourbon menu, which is only available until March 31. 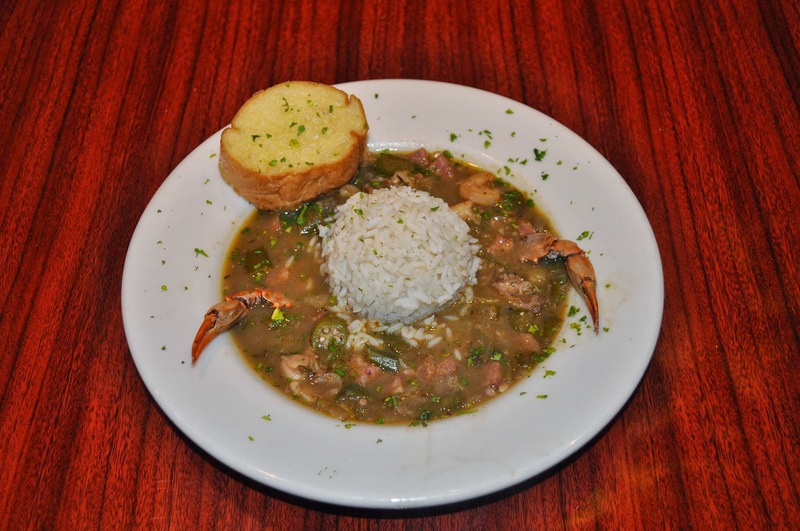 Marlow's added some special Cajun dishes to its regular menu that you definitely want to try. Some of the standouts are: "Nawlins-style" po-boy, Bayou Burger, Fiercy Spice Lump Crab Cake, and Roast Chicken and Shrimp Gumbo. Plus, Marlow's is featuring special New Orleans-style cocktails through the end of the month. One that sounds delicious is the Marlow's Hurricane, borrowed from Pat O'Brien's. The Ramos Gin Fizz, made with Van Gogh dry gin, house-made sour, light cream and orange flower water, also sounds delicous and unique. Don't forget to try Abita Restoration and Abita Amber at Marlow's as well as the Cajun Cosmo, made with Absolut Mango and Peppar, cramberry, triple sec and fresh lime. If the Crab Beignets appetizer are still on the menu, you must try those. Most everything else - including pastas and seafood dishes - are great. The burgers at Marlow's are good, but not outstanding. I am suprised more Central Floridians haven't heard of Eat More Produce in Winter Park. I used to visit the store that features local produce, wine, Boar's Head sandwiches and much more once in awhile. Now, it is part of my weekly grocery shopping trip. That is, in part, because I have found such great deals on produce from Florida growers and elsewhere. For example, this week I got an overflowing pint of cherry tomatoes for $1.50, and Florida strawberries were 99 cents per pint. While they were pricier, I was happy to see a variety of lettuces and greens from an Apopka farm that were in great condition. Isn't it best to support the local economy? Many people also know Eat More Produce for their great Boar's Head sandwiches and salads. There was a long line for the sandwiches when I was there the other day. Plus, the store recently hired a chef to develop new menu items such as soups. I can't wait to see what they come up with. You must check out Eat More Produce's granola, which is made locally. It is the best granola I have ever had. Do you know what makes shopping for groceries more fun? Wine. Yes, Eat More Produce offers wine samples as you shop on Saturdays. I nearly bought a Blue Moon Pinot Noir the other day. Delicious! Plus, this Thursday evening, the store is offering wines by the glass for $3 while you shop. What a deal! Another great part of shopping at Eat More Produce is that I get to stop by LuLu's Ice Cream Shop next door to grab a pint of their locally-made ice creams and sorbets. Truly, they make the best ice creams and sorbets I have had. Perhaps it is because they use fresh, local ingredients. Must try flavors include Salted Caramel and Strawberry Basil. They are always offering new flavors and specials, and the ice cream is really a great price. You can definitely make a fun afternoon out of visiting these two shops all while supporting local businesses and growers. Where 1111 S. Orlando Ave., Winter Park. Fla.
Tibby's New Orleans Kitchen is the best place in Orlando to celebrate Fat Tuesday. I say this not only because of the two restaurants' Happy Hour all day and live music featuring Jeff Howell from 6-10 p.m., but also because Tibby's has the best atmosphere and Creole food to celebrate the start of Mardi Gras. 1. The atmosphere. 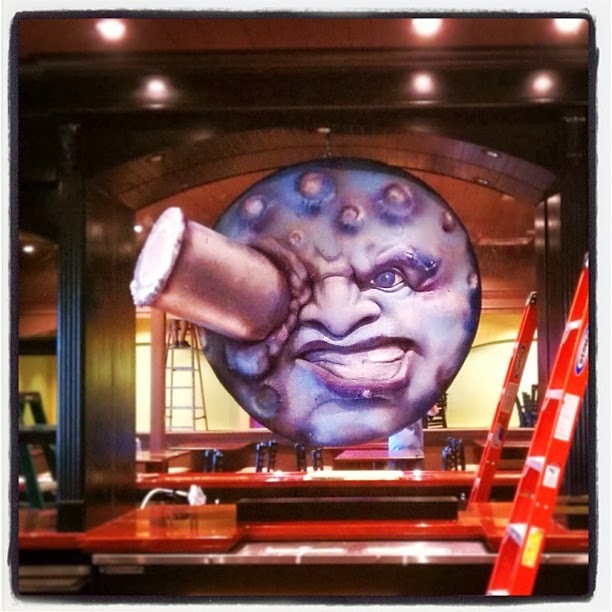 You really feel like you are in New Orleans at both restaurants, but I especially love the decor at the Altamonte Springs Tibby's. The owners brought in huge decorations for the walls that were used on floats during Mardi Gras parades. If you are from the city or have visited there, you will recognize many of the banners and decorations at Tibby's. 2. The drinks. Where else can you get Abita Purple Haze on tap, served in an oversized glass goblet? Tibby's has a ton of a beers on tap plus a full liquor bar. And really great Happy Hour specials with great live music. 3. 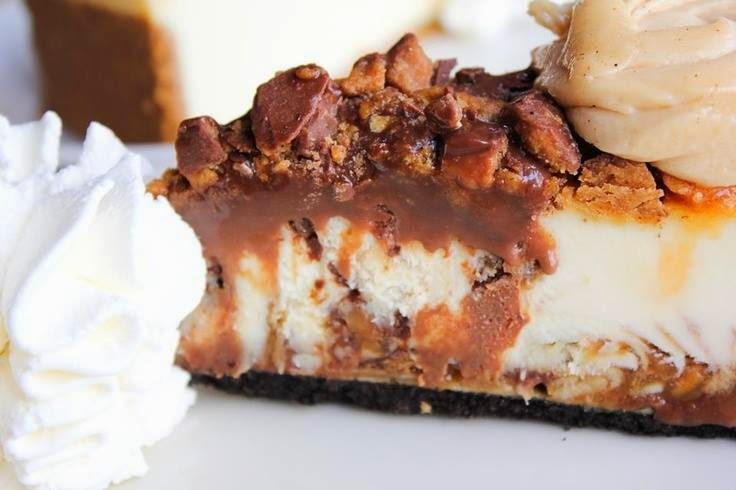 The Shrimp Alligator Cheesecake. If you have never had this appetizer before, run to your nearest Tibby's. My husband says he will go back just to eat as much of this as possible. Three cheeses, shrimp, alligator meat and bread crumbs make this a smooth, delectable, unusual, delicious thing to eat. 4. The Seafood Gumbo. Not as good as I have had in New Orleans, but as close to the real thing as you will get. It is very flavorful, spicy, and delicious. 5. The Shrimp or Crawfish Etoufee. If you have never had it, etoufee is a tomato-based creamy seafood sauce that goes great over rice, seafood, or chicken. Tibby's version is truly delicous and spiced just right. 6. The beignets. These are different from the ones you get at Cafe DuMonde in New Orleans, but I really like the twist. They are more of a crunchy, fried doughnut with a ton of powdered sugar. The best dessert I have had in quite awhile! Of course, there are a number of other Creole dishes on the menu that are amazing. You need to check out Tibby's for yourselves. Why not start your culinary adventure on Fat Tuesday?